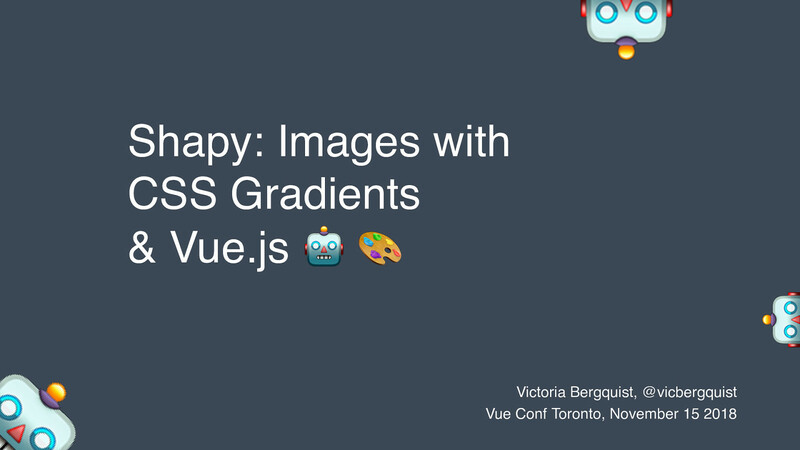 View Shapy: Images with CSS Gradients & Vue.js on Notist. Shapy is an app where you can explore and discover the power of CSS gradients. Create shapes and images with gradients by layering and positioning gradients. Victoria puts presentations on for free. You can too.